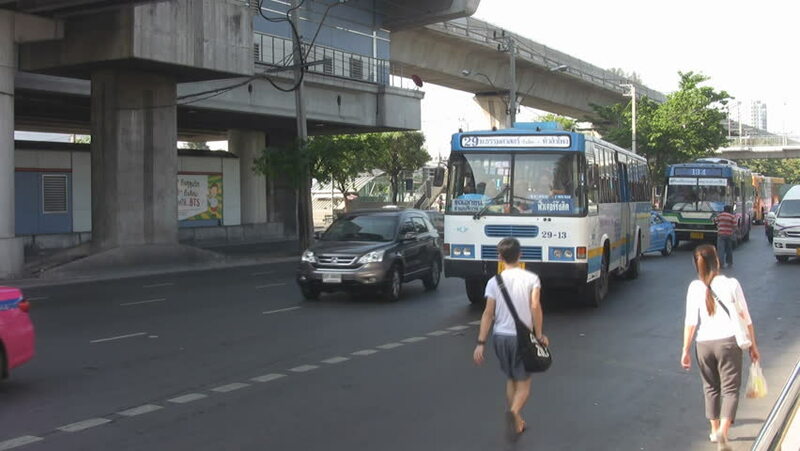 CHATUCHAK, BANGKOK, THAILAND - CIRCA 2012: A man runs for a bus then boards it at Chatuchak, Bangkok, Thailand. hd00:11Trafic in Banlung Town during day, local people and their ordinary living day. 05 march 2018, Banlung. Cambodia. hd00:30BARCELONA - MAY 26, 2012: Crossroads in Barcelona, woman runs, cars wait for the traffic lights and then run away. 4k00:12KUALA LUMPUR, MALAYSIA - JANUARY 2016: sunny day city famous twin towers mall traffic street panorama circa january 2016 kuala lumpur, malaysia.